If you’re thinking they were both Generals, you’d be right. But Ramos was four-star and MacArthur was five-star. What else? That’s right! They were both graduates of the United States Military Academy at West Point. 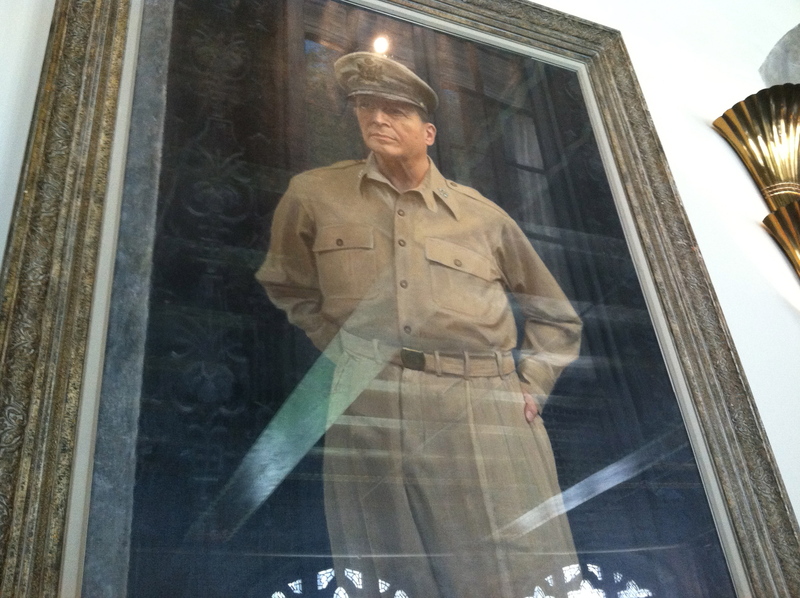 Douglas MacArthur, class of 1903, became a hero of the Filipinos at the end of the World War II. Fidel V. Ramos, class of 1950, became the 12th President of the Philippines. 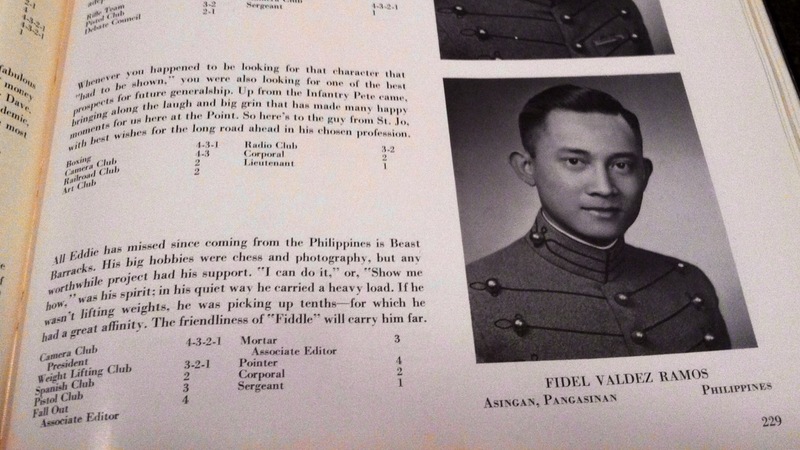 Photo of photo of FVR on “Howitzer” 1950, USMA’s yearbook (Christian’s iPhone). Photo taken in one of USMA’s dining facilities (Christian’s iPhone). This is Day 1 for me at West Point. 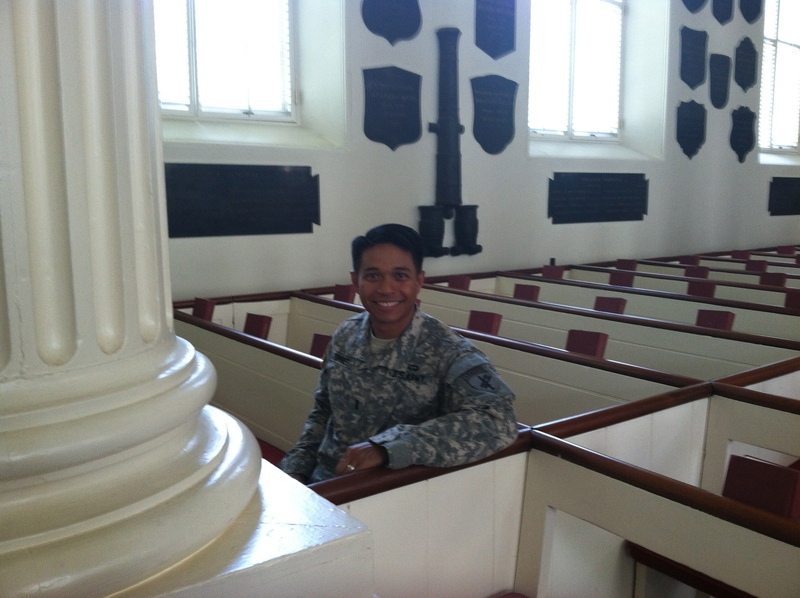 The place is described by one of my fellow Chaplain Candidates as an “everlasting awesomeness!” Spiritually speaking, of course, that is preposterous because for one, West Point is not everlasting and for another, it’s not nearly as awesome as heaven will be. Nonetheless, and I don’t mean to lambast on my fellow Candidate–that’s not my point at all–because I agree that this hyperbole is fitting for the place indeed! I am humbled by the privilege and opportunity to be here at the most prestigious military academy in the world. Having been transplanted from Mindanao, Philippines, this is probably the farthest I’ve gone in terms of where my family ancestries or progeny have been. There is a distinct atmosphere here at West Point because it oozes with good tradition and history. The people that have gone through here have made a dent in the world during their time and in the same world we live in today. Certainly, there are those graduates who at this time are serving in foreign lands and in our own to protect our freedoms. As a Chaplain Candidate in the United States Army Reserve, I count it an honor to minister to our incoming Cadets at West Point. 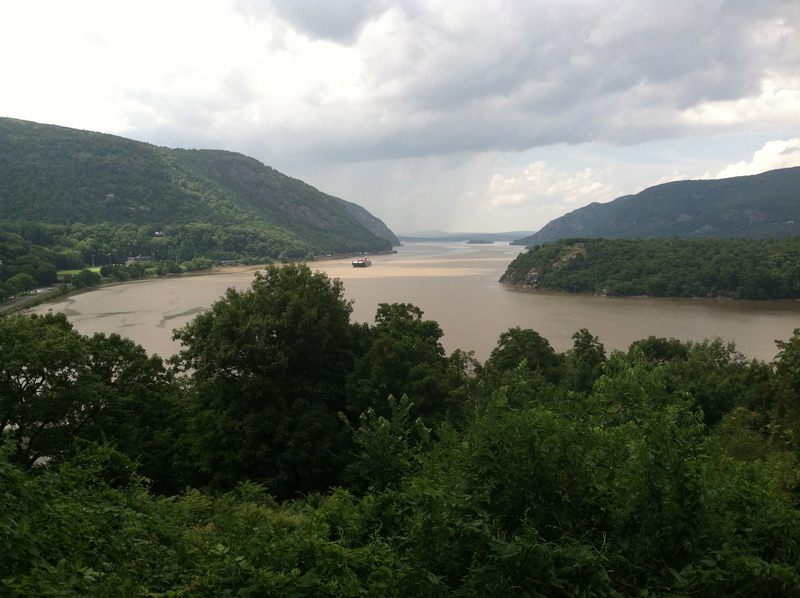 West Point, overlooking the beautiful Hudson River, (Christian Torres iPhone).